For many decades now, diving holidays in the Maldives have offered the most unforgettable experiences for diving enthusiasts which is clearly reflected in the fact that of those who have enjoyed the thrills of the sub aqua world, Manta Rays, Whale Sharks and the archipelago’s unique beauty, 70% return. The Maldives is captivating, a place where those who truly appreciate their environment will marvel at the wonders of nature. The Republic of Maldives is a coral archipelago situated at the heart of the Indian Ocean, to the south of India and Sri Lanka. 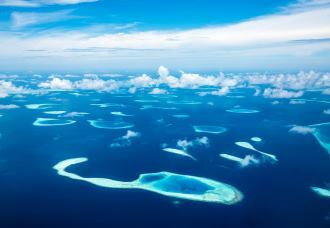 It is made up of 26 geographic atolls and extends some 800km north-south and around 120km east-west. These 26 geographic atolls are organised into 20 administrative atolls. 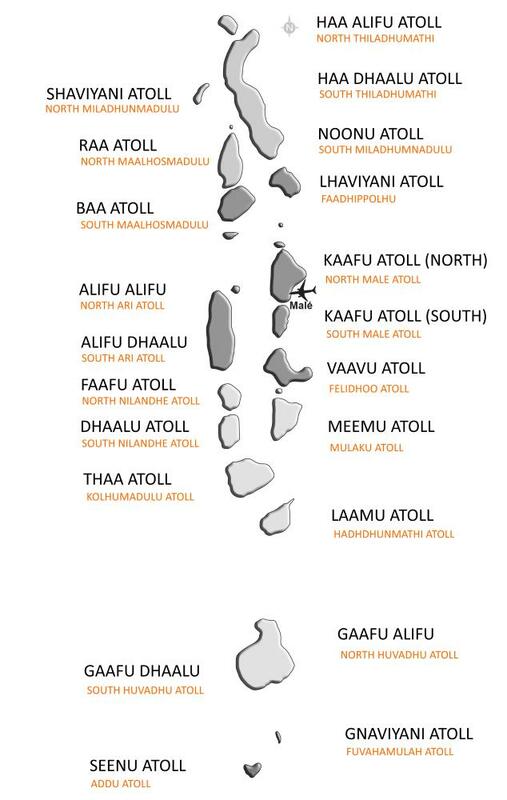 These administrative atolls always have two names, their traditional name and their administrative name. In this document we will use the administrative name throughout. The Maldives is a sky blue treasure chest covered in white and green pearls, each pearl representing one of the 1199 islands of the archipelago that barely poke their noses above the surface of the ocean. 200 of these islands are inhabited by native Maldivians and the same number of islands is home to renowned luxury hotels. 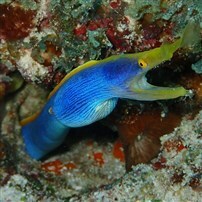 For several years the type of diving holiday in the Maldives has diversified. 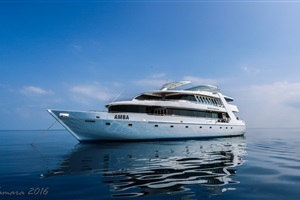 The principal choice is between a liveaboard “dive boat” or a dive resort centred on island hotels or guesthouses situated on the local islands. 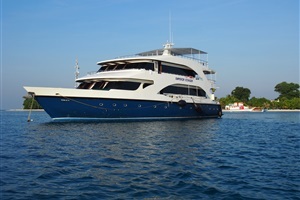 You will find more information below on how to choose between a liveaboard and a dive resort. The Maldives is not normally considered a ‘cultural’ holiday destination. It is the beauty of these islands, its beaches and above all what lies beneath the waves that, since the 70s, has made this unique region one of the preferred diving destinations in the world. Diving in the Maldives is extremely varied and often takes place with or in the currents that are omnipresent around the atolls and in the famous Maldivian channels. These channels are found on the periphery of the atolls and form natural canals that permit the ocean to feed the lagoons with thousands of variations of blue and turquoise waters. They are synonymous with some of the most exceptional diving encounters, an environment where you will find dozens of sharks, rays and other majestic fish. Although some areas are reserved for only the experienced diver, hundreds of dive sites in the Maldives offer that first underwater adventure to those debutants wishing to experience the sub aqua world. 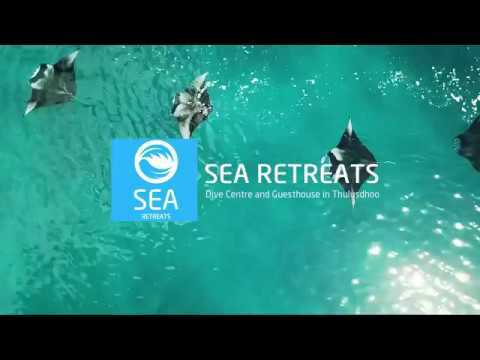 Finally, with the largest population of Reef Manta Rays in the world (Manta alfredi), the annual appearance of Whale Sharks, its reefs, pinnacles and the vast array of marine species, the Maldives is a sacred place for all ocean and marine life enthusiasts. Many divers ask ‘What is the best diving season in the Maldives?’ First of all you must understand that the Maldives has two seasons: the north-east monsoon and the south-west monsoon. The word monsoon in this context does not mean torrential rain, quite the opposite in fact! During the north-east monsoon (known as the dry season which occurs between December and April) trade winds originating in the Indian subcontinent carry rich ocean waters towards the archipelago’s coast. The water is very clear to the east and a phenomenon called the ‘upwelling’ carries with it a significant quantity of plankton. This plankton is the foundation of the food chain that in-turn feeds all manner of marine life from the smallest of creatures to the most majestic of Manta Rays. For a period of several months you will find a dense variety of marine life around the entrances to the channels which lie to the east of the atolls, marine life such as Grey Reef Sharks, Eagle Rays, Napoleon Fish etc. During the same period the Manta Rays return to the lagoons of the west coast where the famous ‘cleaning stations’ spring to life. This natural spectacle offers divers the chance to witness first-hand the most graceful of underwater ballets. The lagoons, many pinnacles, reefs, wrecks, soft and hard coral gardens, all present an environment extremely dense in marine life with a huge variety of diving experience. The south-west monsoon or otherwise known as the ‘rainy season’ runs from June to November; it offers exactly the same opportunities as the dry season but the activity simple switches from east to west. This time the clear water infiltrates the western atolls and the cleaning stations are active to the east of the archipelago. 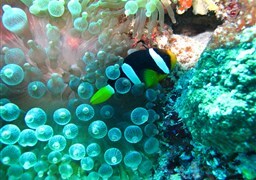 The north-east monsoon from December to April is for many reasons the most popular season for diving in the Maldives. Certainly the risks of a quick downpour are less but the number of tour operators active at this time of the year is significantly higher than at other times. The south-west monsoon however has nothing to be jealous of. 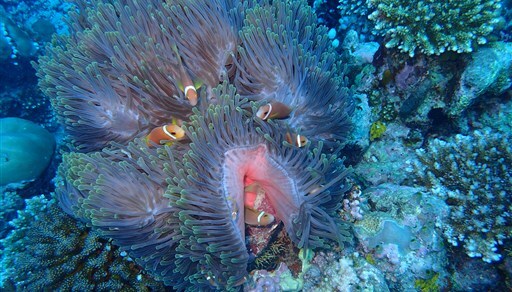 As the name suggests, you should expect a greater rainfall during the rainy season but despite this, the diving experience is not at all compromised, far from it. 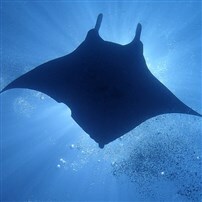 It is in fact during this monsoon that the largest gatherings of Manta Rays occur. 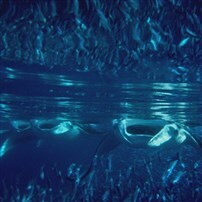 At Hanifaru lagoon for example, more than 200 Manta Rays can often be seen feeding at the same time in a frenetic underwater dance. This activity generally peaks in August at the height of the rainy season. The weather is wonderful all year round in the Maldives, although it is true that it does rain, sometimes for a few minutes, sometimes for a few hours, but the sun always breaks through to return its warming rays. It’s a tropical country and so ‘short showers’ are very much the norm and are the reason for the lush green vegetation you will find on the islands. The two times of the year when the rain lasts a bit longer are the weeks which separate one monsoon from the other. And those of you who are prepared to venture to the archipelago during these times will find the best prices on offer throughout the year. Much like the air temperature (30°C to 33°C), the sea temperature varies little from season to season and is usually between 27°C and 30°C. Clearly in the Maldives no one region is better than another, all are very good. Choosing your region is a matter striking the right balance between the season, your diving experience, and what you wish to discover below the waves. In order to give you a detailed yet easy to understand snapshot of this immense archipelago, we have decided to separate the Maldives into several groups of atolls by region. You will find here lots of detailed information for each region such as, its own peculiarities, the type of accommodation on offer, the best season to visit, the best type of diving and of course which species you are likely to encounter. The following paragraphs will give you a clear and comprehensive image of the Maldivian archipelago. The North region of the Maldives is visited less than its neighbouring Central region which is far more touristic. In the North however you will sense the calm and the authenticity of the islands as well as experience outstanding diving. 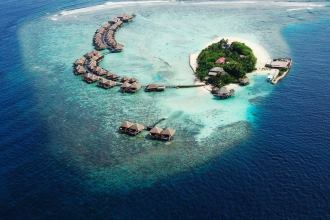 The Central region is the most famous and most visited part of the Maldives. The diversity of marine life, dive sites and accessibility make this area very popular for the many liveaboards. In the South region you will be more likely to encounter pelagic marine life than in the other regions, such as the Whale shark, Thresher shark, Hammerhead and Sailfish. These dive sites are less visited and generally reserved for the more experienced diver because of the strong currents that can persist here. The Far south of the archipelago offers fewer dive sites and sometimes these sites are more technical and difficult than those found in other parts of the Maldives. It is however perhaps the most surprising region of the archipelago and it will leave you with some truly unique memories. It is impossible to start this section in any other way than to dive straight into what every visitor to the Maldives wants to see: Manta Rays and Whale sharks. As mentioned earlier, the Maldives is home to the largest population of Reef Manta Rays (Manta alfredi) in the world with an estimated 5000 to 7000 rays. It is equally possible at certain times of the year and in exactly the right place, to cross paths with the Giant Oceanic Manta Ray (Manta birostris). 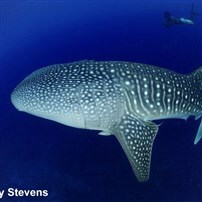 The presence of so many Whale sharks (Rhincodon typus) in the archipelago is a scientific mystery that remains unsolved. The population of Whale sharks (the largest fish in the world) which consists of 95% immature males seems to reside in the archipelago and is the subject of a study based on photo-identification. So far more than 200 Whale sharks have been identified and are regularly seen. They will generally be observed to the south of the Alifu Dhaalu Atoll (also known as the Ari Atoll). 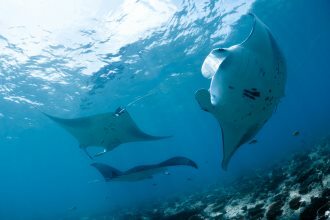 During the south-west monsoon you will also find them in the rich waters of Hanifaru where Manta Rays, who feed by a similar system of filtration, share a common feeding regime. One thing is certain, diving in the Maldives is a veritable feast of many different species and each dive will offer rare encounters, have a surprise or two waiting, and will leave a lasting impression on you. 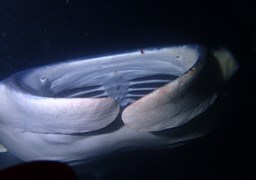 Sharks (Grey Reef, Whitetip, Nurse, Thresher, Hammerhead, Tiger, Silvertip and many others) can appear daily in the currents of the channels and sometimes, although more rarely, they can appear elsewhere in the archipelago depending on the species. 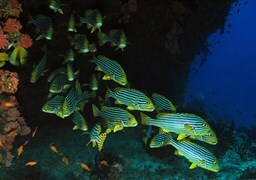 They will often be accompanied by Dogtooth Tuna, Barracuda, Eagle Rays, Napoleon fish and occasionally even Sailfish. There is also no lack of smaller marine life and those who delight in the smaller species will find many creatures that you would normally expect to find elsewhere in the world. 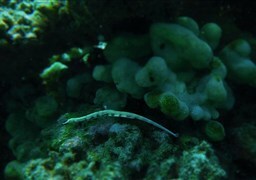 Ghost Pipefish, Harlequin Rasbora and Halimeda hide discretely amongst the coral waiting for divers to discover them; the same goes for Leaf Fish and Frogfish. 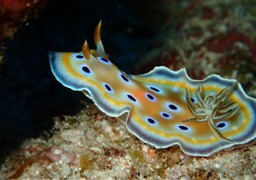 It is also quite common to unearth some magnificent species of Nudibranch and Flatworms, many of which are widespread in the region. But the list does not stop there. Dolphins, shoals of Mobula Ray, Guitarfish, all kinds of Moray eels (including Ribbon eels) , Green Turtles and Hawksbill Turtles, etc. and for the most fortunate of divers, the Ocean sunfish, Killer whales, other types of whales, and perhaps even the Ornate Eagle Ray, a Giant Eagle Ray that is rarely observed. This list is obviously far from being exhaustive and a rich, diverse array of marine life will be on show during every dive. You can take a glimpse at what awaits you in the Maldives underwater photo gallery. To sum up, thousands of species have made the Maldives their home; after experiencing the underwater delights on offer, you will be left with many memories of your incredible and magical encounters. DIVE FROM A LIVEABOARD, A RESORT ISLAND OR A LOCAL ISLAND? 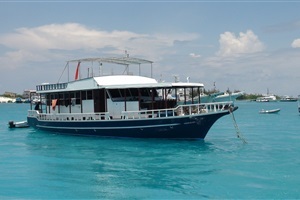 If you would like to dive in the Maldives, there are three options available to you: the liveaboard, known locally as a “safari boat”, staying and diving from an island hotel (resort island) or opting for a guest house on a local island with a diving center. These three experiences are very different and you must consider which is best suited to your needs before you book your holiday. 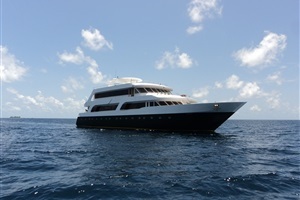 If diving is the main reason for your trip to the Maldives then we strongly advise you to choose a liveaboard. These dive boats offer the freedom to see much more of the Maldives than you will experience with a hotel based holiday. 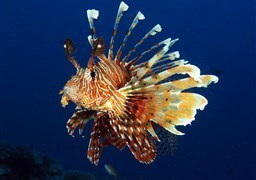 You will be able to visit the perfect dive site at the ideal time for the given sea conditions and seasonal variation. Each dive will be different and you will be able to dive up to three times a day. 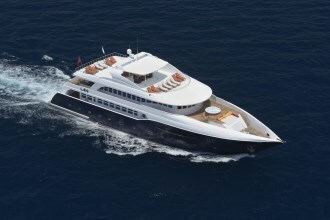 Today liveaboards are extremely comfortable and many are akin to floating hotels. If you choose a liveaboard we recommend that you gain some diving experience before you come as many of the dives will take place in currents and in waters deeper than 18m. The routine on board a liveaboard is focused on diving to ensure that divers can get the maximum benefit from their holiday; there is very little for the non-diver. Diving from an island hotel can have its advantages and its disadvantages. If diving is not necessarily the sole purpose of your holiday then you will probably be better placed at an island resort where a large variety of activities will be on offer. This way you can pick and choose when and how often you dive. The dive guides in the hotels will be very knowledgeable about the local dive sites. In terms of safety, these island hotels also have very high safety standards, with onsite medical services and effective medical evacuation plans. 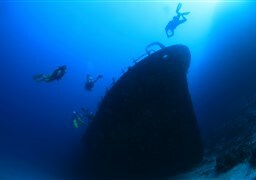 The obvious disadvantage to diving from these hotels is the limited number of dive sites that you will be able to dive. You will be limited to those sites in close proximity to the hotel and therefore you risk diving when the conditions at these sites are not optimal. Although tourism in the Maldives is more geared towards the luxury end of the market, it is possible to find some more affordable accommodation. The full range of prices is available from a basic bungalow without hot water and no air-conditioning, to luxury villas with private swimming pool and Jacuzzi. 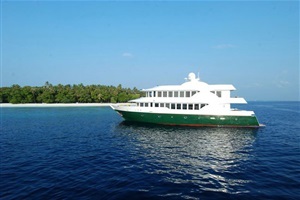 Below you will find a brief description concerning which atoll to choose for a diving holiday. 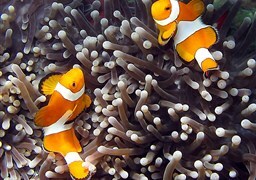 You will also find on another page a list of the dive centers/resorts in the Maldives. 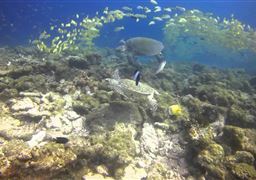 Diving from a local island in the Maldives is an experience that was almost unimaginable until recently. However, over the last few years, a new market has developed offering visitors an alternative holiday at an interesting price. 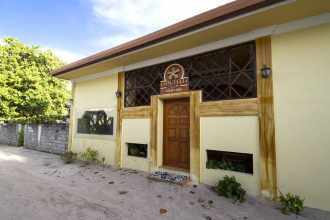 Accommodation is in guest houses or small local hotels with a dive center. The offer in terms of activities and infrastructure does vary from one island to another and it is important to make thorough enquiries before booking. This package has advantages as well as disadvantages. As mentioned, the prices are unbeatable which is certainly the major advantage of this type of holiday. This type of trip also provides a unique opportunity to meet the local Maldivians and to learn about their daily life and traditions. As with diving from an island hotel, you will be limited to the diving sites which are nearby. However, the local guides will make it their mission to share their passion, their expertise and their experience with you. Even though it isn’t right to talk about “disadvantages”, it is important to know that holidaying on an island occupied by indigenous people goes hand in hand with respecting certain traditions, habits and customs. As such, the possession and consumption of alcohol is strictly forbidden on local islands. Some companies have registered “safari” boats in close proximity to the islands to get around this ban. It is also necessary to respect a dress-code so as not to offend the local inhabitants. Outside of your hotel complex, shoulders must be covered and knee-length shorts are essential. The same applies on the beach. If it is not completely private, women should absolutely not wear bikinis and must cover up. This can still be a very enriching experience if it is undertaken in an informed and accepting way. It is really nice to be able to escape the hoards of tourists from all over the world. In terms of security, it is always important to check the reliability of your chosen organisation in advance. Local islands will normally have a doctor who will be able to deal with minor problems themselves, but for any more serious problems and any diving accidents, you will need to go the capital or a Hyperbaric chamber. 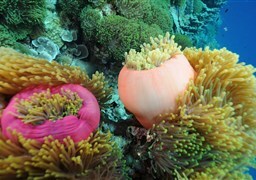 Below you will find a brief description concerning which atoll to choose for a diving holiday. 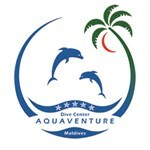 You will also find on another page a list of the dive centers in the Maldives. Once you have settled on your choice of an island hotel or a guest house, the next thing you must ask yourself is ‘Which atoll in the Maldives should I choose?’ All the atolls on the archipelago offer exceptional diving conditions. It can be noted that the Alifu Dhaalu (south Ari) and Baa (Maalhosmadulu) Atolls are well known for Whale shark encounters. 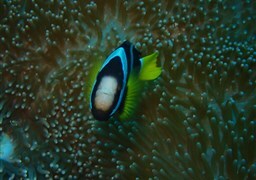 You will also find the larger marine life around the Thaa, Gaafu, Alifu, Aafu Dhaalu and Gnaviyani Atolls. The Haa Alifu and Haa Dhaalu Atolls to the north of the archipelago are known for their beautiful and colourful soft corals. Manta Rays can be seen off the west coast during the north-east monsoon and off the east coast during the south-west monsoon. Mantas move frequently around the archipelago during the year so it is important to seek advice from your in-country operator to be sure you do not miss this amazing opportunity. 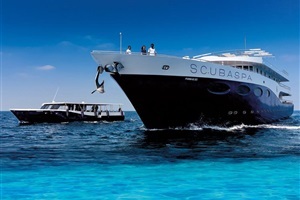 COMBINE THE DIVING ADVENTURE WITH THE PLEASURE AND COMFORT OF A CRUISE! The Maldives underwater photo gallery allows you to see the extent of the marine life that you will find in each region, atoll and dive site. There are currently 421 photographs and 28 videos available for the Maldives. They have been made available by diving enthusiasts, dive boat operators and dive centers. You are actively encouraged to add your photos and your videos to this wonderful photographic collection. 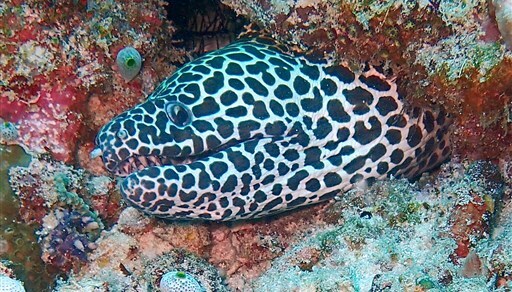 The underwater relief of the Maldives offers many different types of diving and different regions of the archipelago offer different experiences. In some areas you will find the full range of dive sites whereas in other parts the choice can be more limited; the same goes for the difficulty of the dive. More precise information about the different conditions and level of diving in each region is given in the ‘Best Regions for Diving in the Maldives’ section above. The famous Maldivian channels are effectively natural canals connecting the ocean and the interior waterways of the atolls. The currents generated by the water entering and exiting the atolls are known to be strong and to attract a dense and varied pelagic marine life including sharks and Eagle Rays. Giri and Thila are types of submerged pinnacles which can vary in size from one site to another. 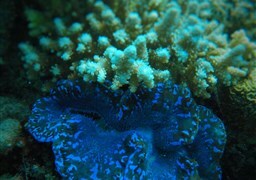 You can find overhangs, hard and soft corals, and a rich array of reef marine life. Thilas are distinguished from Giris by the greater depth of their summits. Thilas generally have a submerged summit between 15 and 30m whereas as Giris are much shallower at 5 to 20m. Giri pinnacles are accessible to all divers whereas Thilas are often reserved for the more experienced diver who can dive at between 20 and 30m. Farus are reefs that surround the atolls. 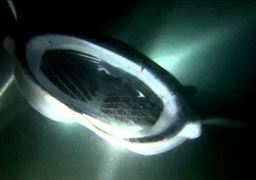 They are often just below the surface and can reach anything from a few metres to several hundred metres deep. Although diving around the Faru can sometimes be technically demanding, generally Faru diving is accessible to all levels of diver and will often be a drift-dive. The list of dive sites in the Maldives today stands at 61 sites. You will find them classified by atoll and region. The large majority of these sites are well documented with details explanations, maps and photos. You are again encouraged to add to this catalogue of sites by adding new dive sites or improving the information already available with your photos etc. WHAT ELSE IS THERE TO DO IN THE MALDIVES? The Maldives does not offer many real cultural alternatives to the beach or diving holiday. The island hotels generally offer a large range of water sports, all kinds of entertainment and some even offer short educational conferences delivered by onsite biologists. A liveaboard offers a much more limited range of activities although of course such navigation presents the opportunity to enjoy an unforgettable barbeque on a deserted island. Not forgetting the chance to visit local islands where some still maintain a truly indigenous lifestyle. Other islands have slowly adapted to tourism and now souvenir shops line the main roads of the ports. Despite the ever-present oppressive heat and the vehicular traffic that is often heavy and stressful, it is well worth stepping ashore in the capital Malé. It is important to remember that the country is undergoing a significant political crisis and these visits to the capital must be timed to avoid any protests which have been known to rapidly get out of hand. The Maldives is however rich in traditions and legends. These often tantalising stories can be difficult to come by and so you can download the fabulous stories of Dhon Hiyala and Ali Fulhu here. For more detailed information on the Maldives, its best dive sites, when to visit, where and how to travel, what season to choose, etc. we strongly recommend the guidebook iDive MALDIVES. With 300 dive sites detailed and illustrated and lots of vital information provided by local professionals, this is a must read to ensure you experience the very best holiday possible. Spent 1 week on liveaboard, gone south of Male. Awesome dives with mantas, whales sharks and nurse sharks. Breathtaking.. I whish I could stay longer! On local islands one can find a comfortable airconditioned room for as little as $40/night in low season, and about $100/night in high season. 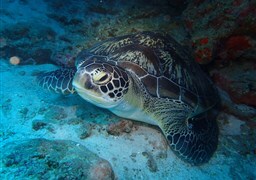 Dive prices are typically in the order of $50-$60 per dive. A diving holiday on a local island would cost about 25% of a resort based diving holiday. Local island operators also offer snorkeling trips, fishing trips, water sports, kayaking, wedding ceremonies, kitesurfing, trips to uninhabited islands and sandbanks, and so on. Most often the guides would be Maldivians who are very good at tracking down the more elusive creatures, often better than their foreign counterparts on resorts, who are usually chosen for their language skills. Local islands are booming in tourism, especially dive tourism. Some local islands are boasting as many three dive centres, where healthy competition keeps the rates to about a third of resort dive prices. Check out islands like Rasdhoo, Maafushi, Dhigurah, Dharavandhoo. There are many others, but these are a very good starting list for the diving mecca of the central atolls.